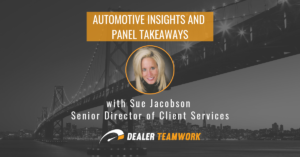 During Sean Stapleton’s recent DealerOn Webinar, “Top 5 Steps To Creating Your Biggest Competitive Advantage”, he asked the large dealer audience to describe their current process for marketing their vehicles and their current offers. These are eye-opening statistics. Let’s break each one down. 1. 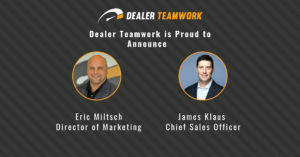 36% of the dealers said they take the OEM offers, create banners and upload them to their website. Waiting for OEM offers to arrive creates missed sales opportunities. Building banners and images, then uploading them to the website is a dated marketing tactic that it not only inefficient, but it also doesn’t help create the on-page relevance that search engines need. Search engines need to be able to read and understand the text on your pages to serve your page up in the results when shoppers are looking for relevant information. The images on your page can’t be read and understood as much as HTML page text. And yes, the image alt tags can help, but let’s be serious and admit that the majority of marketers are not spending the time to optimize their images – especially if this is the process they’re using. If they are, that’s the equivalent of putting 20″ chrome rims on an ’87 Honda Accord. Wasted effort. 2. 30% of the dealers said they have a process, but can’t describe it. So, you’re involved with the marketing efforts in some capacity, and you know you have a process, but you can’t describe it. Not knowing is just unacceptable if you’re managing the process, a direct report to the process or even if you’re on the sales desk. Everyone in the organization should have a basic understanding of the vehicle merchandising and optimization process. Evaluate your current process for efficiency and effectiveness, then inform your team. You’ll be amazed at how this level of communication unifies the team – and your knowledge! 3. 18% of the dealers said an agency or a 3rd-party consultant manage their process. Having an outside agency or consultant manage this process also slows down your marketing efforts. Total control and speed should be success factors of your process. Your OEM offers arrive, an outside company needs to create your marketing assets, then they either deliver them to you or upload them to your site. More time wasted, you spent a lot of money, and it’s also not helping your organic search efforts. Your outside company may also be involved with managing your paid search efforts in conjunction with these activities. Unfortunately, these are still manual efforts when it involves adding current offers to your paid campaigns. 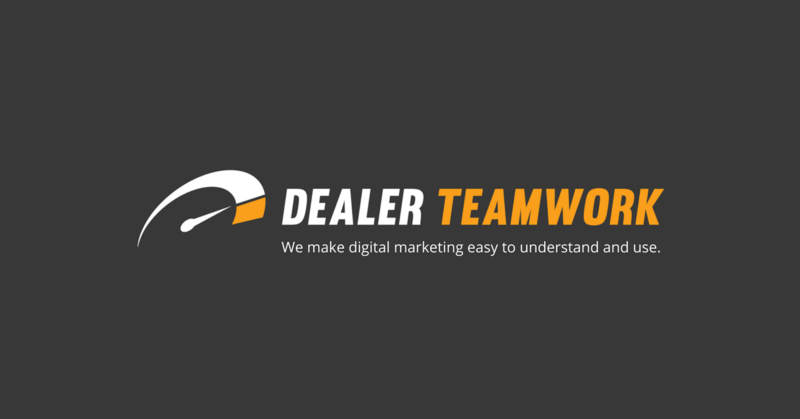 Manual campaign management is simply not scalable and can’t create the relevant options your dealership needs to be successful. 4. 12% of the dealers said their specials automatically updated showing their older vehicles. Dealers relying on automated aged-vehicle solutions for their marketing efforts are completely missing the mark. Automated solutions are lazy and incomplete. These vehicles aren’t special to the shoppers, they’re only special to you – because they’re old you want them gone. And, when we’re talking about used vehicle specials they were probably priced incorrectly to begin with, but that’s a conversation for a different day. Pushing older vehicles to a page marked as “Specials” and showing the MSRP doesn’t help the shopper. We all know that nearly 87% of vehicles are financed, so why aren’t you showing the vehicle the way people buy? Show the payments! 5. 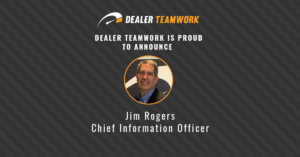 3% of the dealers stated that they don’t have a process and it doesn’t get done. Lastly, there were dealers who owned up to the fact that they simply didn’t have a process and it was getting done. Cheers to these dealers for acknowledging this fact. The first step in improving any situation is admitting you have a problem. Fixing this problem should be a priority to prevent losing additional sales opportunities. 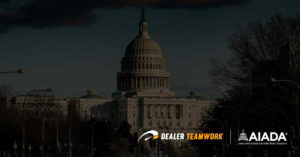 Contact DealerTeamwork to learn how you can fix these problems identified using the Launch Control MPOP. Take control of your marketing processes, accomplish more faster and build the most relevant vehicles campaigns to create your biggest competitive advantage.